I suppose that I shouldn’t be surprised that there is an ongoing lawsuit between Apple and Samsung over the similarity between the Apple iPad and the Samsung Galaxy Tab 10.1. Apple has stated that “iPad design” which is a rectangular flat computer, is quite like the Samsung Tab, but it is also similar with a device from science fiction. Specifically, the Stanley Kubrick movie 2001: A Space Odyssey. Some might argue that this movie is out of date, while others can say that it is ahead of its time. You can see in the video clip after the jump that two of the main astronaut characters from the film are using tablet PC technology. I have reported on a lot of terrific augmented reality stuff, and this Zapparel is something that is a long time coming. This is the creation of Zappar and Hybrid Apparel, and there is a video after the jump so you can see how it works. I highly recommend watching it because it looks quite neat. There are 20 different T-shirts, and there should be more coming out if this is a hit. I’m not certain whether or not people are willing to stand still while another scans them with an iPhone or Android device, but the video shows that the results are worth it! Elgato has just released the HDHomeRun PRIME App for iPad 2 over at the App Store, where it will play nice with the Silicondust HDHomeRun PRIME line of CableCard-enabled network tuners. To put it in a nutshell, this new app will allow users to stream and record live premium cable TV directly to the iPad 2 – making Apple’s hot selling tablet all the more desirable now. It does not matter whether you want to watch the news in the kitchen when you are preparing dinner for a hungry family, or perhaps indulge in a little bit of baseball on the patio on a warm evening, or even have a stab at a late night horror show without having to disturb anyone from their slumber. 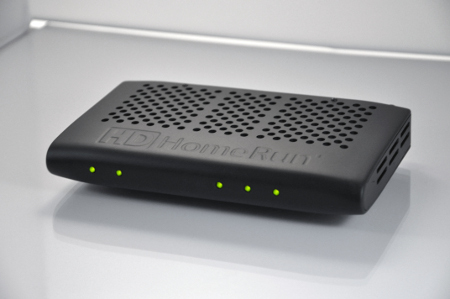 The HDHomeRun PRIME App will pave the way for you to view and record live cable TV anywhere – as long as you remain within the vicinity of your homes Wi-Fi network. Let’s face it, tablet PCs don’t have the best speakers. So why not make them louder with the new Logitech Tablet Speaker. The Tablet Speaker might look like it is only made for the iPad, but it is actually good for any tablet, thanks to the rubberized clip. So if you have a Galaxy Tab, Motorola Xoom, or any type of Android tablet, you should get it. The Tablet Speaker uses a 3.5 mm audio cable connection, so it will work on smartphones, laptops, or any other type of device with a headphone jack. As for power, it has a built-in rechargeable battery that is good for about 8 hours worth of sound via USB charging. While digitizer tablets aren’t exactly the kind of tablet that your little one would love to find underneath the Christmas tree, preferring one with an “i” prefix, that doesn’t mean there isn’t a market for writing graphic tablets. Genius knows this, which is why they have taken their successful G-Pen F610 Writing Graphic Tablet and introduced an upgraded version which will carry the latest software and package for Windows 7. This graphic design tablet will be slightly different from others, as it is not only super slim in nature, measuring 6″ x 10″, but it will also be wireless – so you need not remain tethered to your computer all day long. On the other hand, anything that is wireless needs to be juiced up, so make sure that the Genius G-Pen F610 has enough battery life inside before you start off with your work, aye? The iPad and its sequel, the iPad 2 have certainly caused ripples in the industry what with their stunning design and ease-of-use, basically giving the whole tablet market a huge wave for other manufacturers to ride on. Of course, being iOS-powered, this is the only one of its kind, but what about the iPad’s rivals? The majority of those tend to run on the Android operating system, hailing from a gazillion manufacturers, but none of them have truly managed to be declared as an “iPad killer” to date. Well, this does not mean they don’t stop trying. No sir, there are still new Android tablets being churned out each day, where the latest among them would be the Ouku Night 3G. We are rather surprised that it runs on the Android 2.2 Froyo operating system – which is seen to be rather outdated, as most phones already have Android 2.3 Gingerbread running on them, while tablets are supposed to come with the tablet-optimized Android 3.0 Honeycomb version. 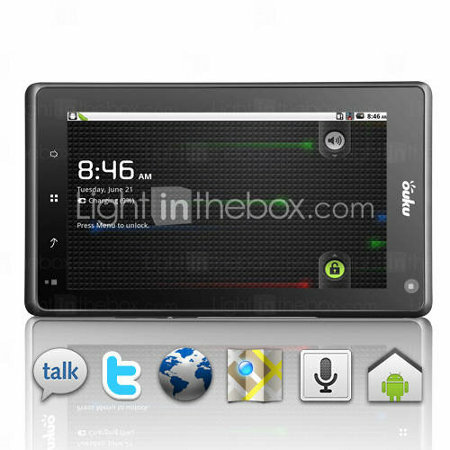 Perhaps reading on about the Ouku Night 3G after the jump might change my perspective on it. Have you heard of MyGoFlight before? Neither have I, but the good thing about it is this – I now have, and soon, you will, too. 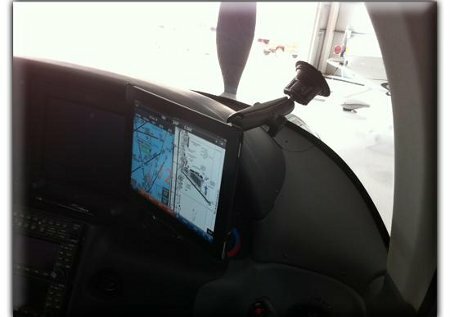 MyGoFlight is actually a company that is focused on the iPad In Motion for aviators, and they have just rolled out the iPad Sport series for both kneeboard and cockpit-mounted uses. This particular device will enhance a product line which already comprises of the iPad Kneeboard Pro, external GPS devices, iPad Flight Bags, and accessories including in-flight power adapters, anti-glare screen protection, night vision pens, RAM mounts and other similar items. Vizio, the company that is famous for its range of budget-friendly HDTVs, has decided to dip their fingers in something very, very different – we are talking about a tablet here. Yes sir, the number 1 LCD HDTV company in the US has just announced their latest Vizio 8″ tablet (there is no proper name to it, can you believe that?) 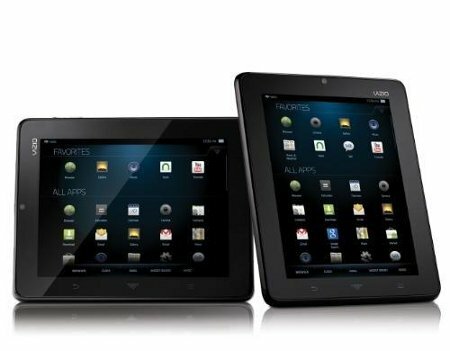 which will retail for a mere $299 a pop, making it far cheaper than the other tablets in the market. Of course, it goes without saying that tablets from Apple, Motorola and other manufacturers which cost far more than Vizio’s model does have value in the extra dollars you fork out – those come with superior hardware, but just what can you expect from a sub-$300 tablet? Find out after the jump. Great – it seems that French fashion house decided that selling clothes – nay, fashion, is not good enough for their bottom line that they have decided to venture into the world of consumer electronics – the tablet here in particular. Yes sir, don’t you think that these are worlds apart? I mean, you don’t see Gucci or Versace taking such a step – either the management at Pierre Cardin are visionaries, or they have lost the plot. Still, let us see what they are able to churn out on the electronics front other than belts and dapper shirts. 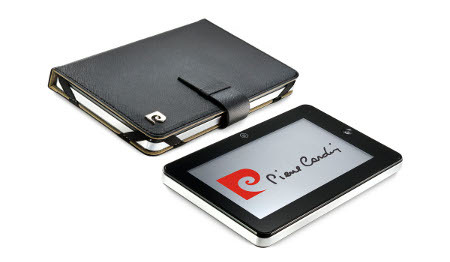 Aptly named Pierre Cardin tablet PC, this is the UK’s first, where it will obviously be easy on the eyes (guess the aesthetics are influenced by their experience in the fashion line) alongside user-friendly technology that rides on the Android operating system from Google – no idea on which version it runs on though, but we’re betting it isn’t Honeycomb.